Anyone who has worked on their own marketing material would agree that it's a hard task. Over analysing, second guessing and endless edits can turn a simple project into a time consuming, mind numbing and arduous task. On one hand, there is no-one better qualified than you to create the perfect content but on the other hand, it takes you away from your day to day functions. Having an experienced creative consultant to help you through the process can make your life a lot more productive and profitable, PLUS good brochure design enables your business to differentiate itself and clearly communicate why you are the right fit. 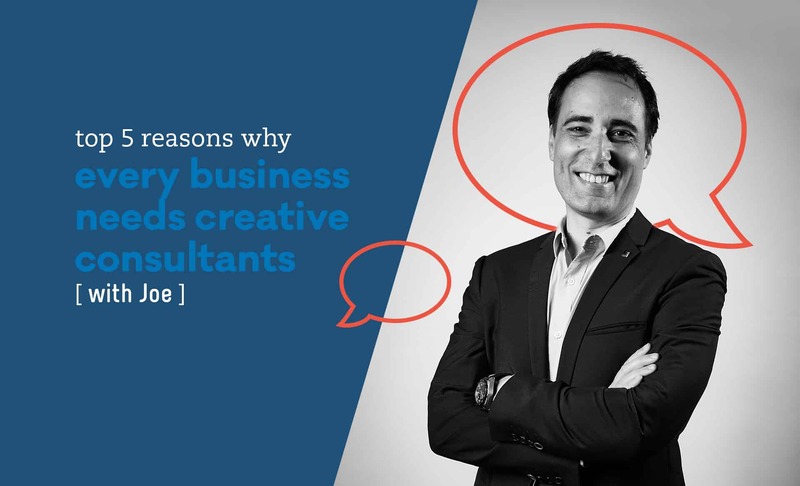 Here are my top 5 reasons why your business would benefit from using creative consultants. Working in an industry for extended periods of time, we find that most companies tend to fall into similar routines and personas as their competitors. Processes, formats and even styles and promotions follow the “industry norm” with little point of difference. Having a creative consultant will introduce new perspectives plus a chance to idea borrow from other industries. This can breed innovation and ground breaking solutions that would have never been thought of internally. You’ve lived and breathed what you do for years, possibly decades. You’ve been schooled, attended industry conferences and your knowledge is absolutely undisputed, yet your marketing isn’t bringing in as many leads and enquiries as you’d like. The tip here is to keep focusing on what you're good at and let an expert work on marketing and lead generation. A good creative consultant will implement KPIs and ensure that your marketing is tracked, tested and always improving to deliver growth. Unless you have the time and skill to devote to tracking, success will be elusive. It can be difficult to ask for, and recieve honest feedback from team members. Utilising a creative consultant to evaluate marketing plans and ideas can help save time and money as well as mitigate risk. A creative consultant should be able to provide you with sound advice, including pros and cons to consider, before you pull the trigger on any new campaign. With the world of marketing evolving at light speed, it is impossible for even marketing managers to keep up to date with new tools and methodologies. The most feasible way to ensure you are maximising your marketing dollar is to engage with a creative consultant who can tap into their specialised team of experts and niche talents as required. Last but not least, a creative consultant can bring unique skills to the table to help resolve company wide issues with design thinking. Empathising with your customers or team to truely understand the issue at hand in order to create alternative solutions that are quickly modelled, prototyped and tested to asses viability. The goal of any consultant is to ask the right questions and challenge your thinking to discover new ideas and possibilities. As the saying goes, “If you do what you’ve alway done, you’ll get what you’ve always gotten”.